Our clientele’s Intellectual Property (IP) assets are among their most valuable. IP assets can include patents, trademarks/services marks, designs/models, software copyrights, Research and Development (R&D), rights related to scientific, literary or artistic work and rights related to industrial or commercial work. Aside from registration of such assets, we also manage IP validation and IP transfer agreements, as well as licensing and franchising agreements and litigation, while capitalising on Cyprus’ attractive IP tax regime for clients’ benefit. Meanwhile, in addition to its favourable geographical location and common law framework, the island combines EU membership with an educated workforce, solid IT resources and R&D centres, and is fully aligned with the acquis communautaire and international IP laws. Cyprus also provides an extensive network of double tax treaties, access to the EU Interest and Royalty Directive and a tax-efficient IP Box, which, as of 2016, is fully harmonised with the OECD/G20 Base Erosion and Profit Shifting (BEPS) Action 5 report. These attributes boost the island’s credentials as an R&D and IP management jurisdiction, affording IP owners maximum peace of mind. Our clients’ trademarks, service marks and designs can be managed and safeguarded at the national, European and international levels. National protection of such IP assets is secured via the Cyprus Registrar of Companies, as determined by the provisions of the Trademark Law Cap. 268. At the EU level, we access procedures overseen by the European Union Intellectual Property Office (EUIPO). The EUIPO coexists with and complements national protections by examining trademarks and design applications, while facilitating convergence of practices among EU state IP offices. EU Regulation 207/2009 of February 26, 2009 on the Community Trademark, and EU Regulation 6/2002 of December 12, 2001 on the Community Design determine the framework for the EUIPO’s operations. Finally, for international safeguards of trademarks, service marks and designs, our clients benefit from the Paris Treaty on the Protection of Industrial Property, to which Cyprus is a signatory, as administered by the World Intellectual Property Organisation (WIPO). As in the case of trademarks, we tap into three tiers of IP management – national, EU and international – to register our clients’ patents. At the national level, certificates for new inventions are secured via the Patent Office of the Department of Registrar of Companies and Official Receiver. The equivalent authority at the EU level is the European Patent Office, while, internationally, the relevant body is the WIPO. 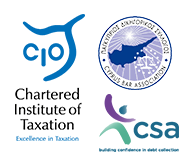 Cyprus IP companies enjoy an 80% tax exemption of the overall income from qualifying intangible assets, which include: patents, computer software and other IP assets, non-obvious, beneficial and novel, which have been acquired, developed or exploited by a person in continuance of a business and that are a result of research and development activities, while also covering intangible assets for which only economic ownership exists. As of July 1, 2016, Cyprus IP companies can achieve an effective tax rate of 2.5% (or less) on qualifying profits earned from qualifying IP incomes. Non-qualifying incomes are taxable at a rate of 12.5% (or less). As regards royalties, a 10% withholding tax is deducted and paid by the royalty-paying company to the authorities, if payment is for the use of the IP in Cyprus. No withholding tax is payable by the Cyprus tax resident to the non-resident licensor if the use of the IP is abroad. By comparison, the island’s corporate tax rate is 12.5% of income generated in Cyprus and abroad. For tailored services handling all necessary procedures related to your IP assets, while ensuring you benefit from every available tax advantage, please do not hesitate to contact us.